If you’re a regular Theme Park listener you’ll know that I have what they call an ‘eclectic’ taste in music. And it comes in handy when you’re putting together a show each week on random themes, I tell you! 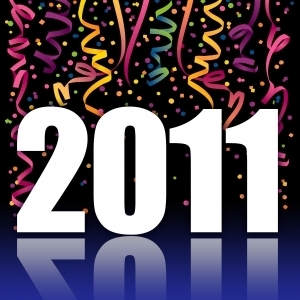 This week, just to prove that I do listen to new music, I decided that I would bring you songs from my favourite albums of 2010. So no nostalgia this week, all new music and a look-see at what arrived in my Xmas stocking, all 23 albums! Thank you Santa! Caribou, otherwise known to his Mama as Daniel Victor Snaith, is a mathematician by trade who, in his spare time, delivers beautiful and captivating electronic music. His 2010 album Swim is the first of my favourites and we opened the show with the track ODESSA. Even if you’re not an electronica fan, (and I’m not particularly), this album successfully crosses over and appeals to almost everyone who listens to it. 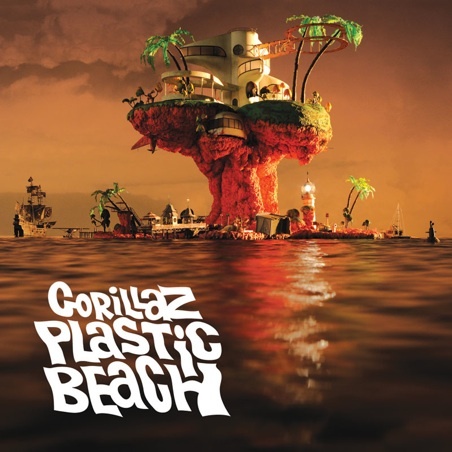 Next on my list the album Plastic Beach by the Gorillaz. Hard to pick one track from this incredibly diverse album. It was a toss-up between MELANCHOLY HILL and SUPERFAST JELLYFISH, featuring Gruff Rhys and De La Soul. The chance to also play some De La Soul put the latter track on the list in the end. And, I’ve got to say, I’m very jealous of anyone who saw Gorillaz on their recent Plastic Beach tour! One of the most beautiful songs of the year is PIECES by the Irish band Villagers. Singer Conor O’Brien totally rocks. The song is from their debut album Becoming a Jackal. Check out this live performance from their very first headline show in 2009. Amazing. 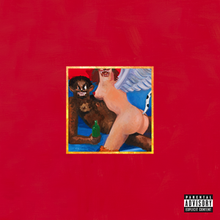 Another surprise favourite for me was Kanye West’s album My Beautiful Dark Twisted Fantasy. It finally convinced me of this guy’s talent. I’ll try and overlook his arrogance for the sake of the music and some of his fine collaborators. One of the best tracks features Ben Iver and its called LOST IN THE WORLD. Down the Way by Angus & Julia Stone was the biggest-selling Australian album of 2010, and it certainly shows the growing maturity of this brother and sister duo. BIG JET PLANE is the standout track from this album. Another great Aussie group is You Am I. Their best record in more than a decade is self titled. My favourite track is the second single of that album, TRIGGER FINGER. The clip features Lanie Lane who also supplied backing vocals. I’m a big fan of the soulful voice of Ray LaMontagne. His 2010 album with the Prairie Dogs, God Willin’ & the Creek Don’t Rise has a number of great tracks on it. Here he performs BEG STEAL OR BORROW in the studios of Oui FM in France. Another exquisite song is RUBY from the album Ali and Toumani, released in February 2010. 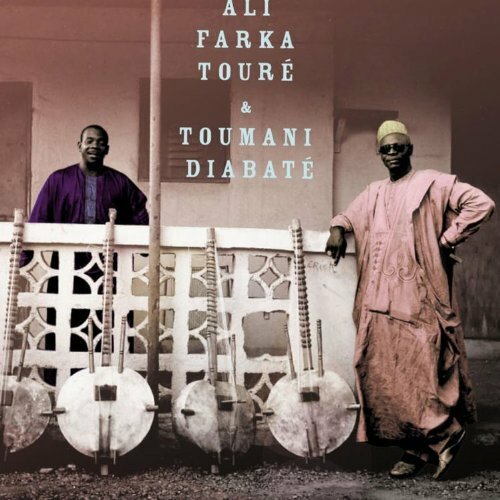 It’s a series of duets from two of Africa’s most distinguished musicians, the late guitarist Ali Farka Toure and kora player Toumani Diabate. 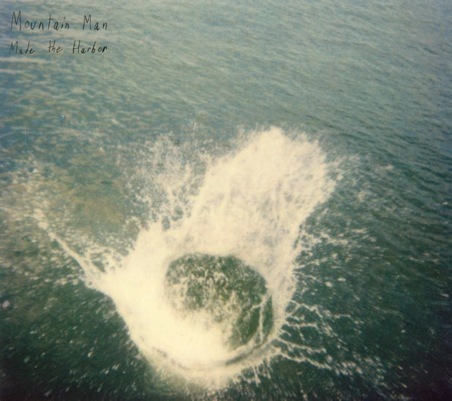 The same kind of purity can be found in a completely different genre by a group called Mountain Man. They’re actually an all girl trio from Vermont who recorded their album Made the Harbor in a disused ice-cream parlour. The whole album is mostly a capella, which just goes to show that the voice really is the ultimate instrument. We played their sublime version of HOW’M I DOIN’. I’m sure that I’m not the only one who thinks that Neil Hannon of The Divine Comedy is completely underrated as a singer and a songwriter. This band has been around for about 20 years and yet we’re almost a secret society of fans. 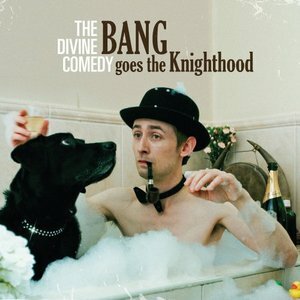 Hopefully their latest album Bang Goes the Knighthood will get them the recognition they deserve. 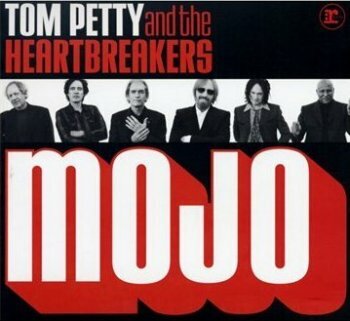 Tom Petty & The Heartbreakers released a very Bluesy album called Mojo this year which I really love. I particularly like their version of the old standard CANDY. At the other end of the spectrum, Danger Mouse got together with James Mercer to invent a new group called Broken Bells. They released their first album together in 2010. Here they are performing THE HIGH ROAD, from that self-titled album, at Lowlands 2010. 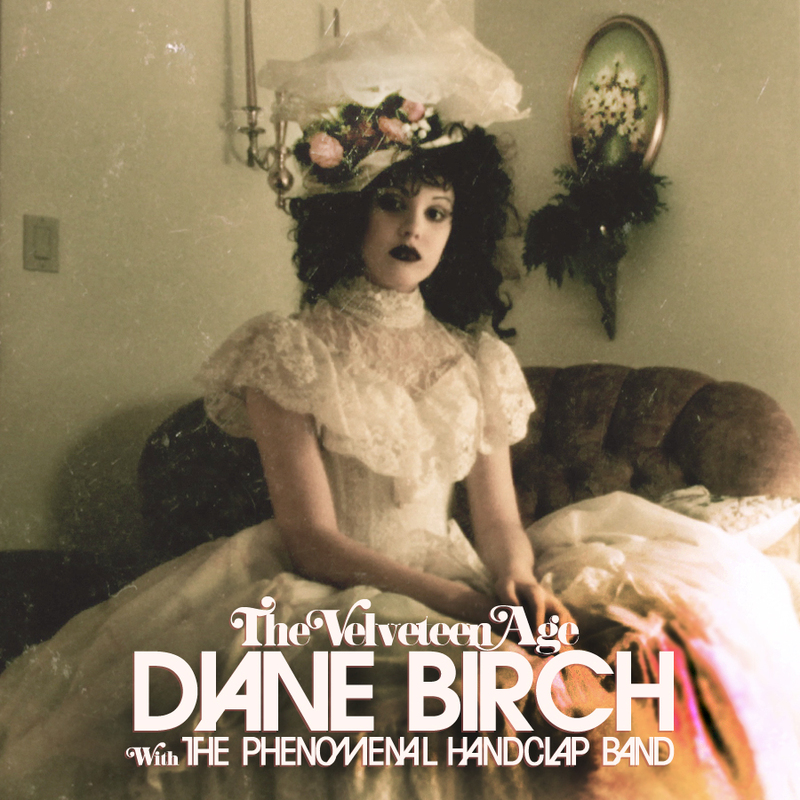 A new discovery for me late in the year was Diane Birch. She released her first album, Bible Belt, in 2009 and the EP Velveteen Age just before Xmas this year. She’s only in her mid twenties but wow, what a voice. And talking of great voices, soul/gospel legend Mavis Staples released a wonderful album this year called YOU ARE NOT ALONE. It was produced by Wilco’s Jeff Tweedy who also wrote two of the songs on the album. Two of my all time favourite artists on one album. Heaven. Here’s a sample of what we’ll be seeing at the upcoming Byron Blues Fest in April. I, for one, cannot wait! A band that also sounds a lot like a few bands of the 70’s is The Russians. But gee, what a great job they do of it. Their album Crashing The Party is full of retro power pop/rock melodies. Sort of like Big Star, but , (dare I say it?) better. 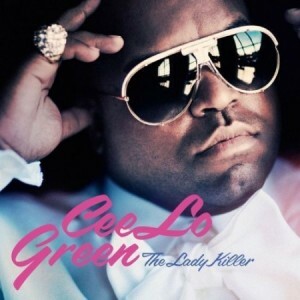 We finished up with the song that’s been on everyone’s lips this year, Cee-Lo Green’s F**CK YOU. I had to play the clean version for radio, of course, which he conveniently included on his Lady Killer album as FORGET YOU. This album is more than the sum of its parts, that’s for sure. With its deliberate nods to Motown, 80’s soul and classic pop, its right up my alley. Hey, you’ve seen the official F**CK YOU clip a million times, (well, actually 33 million hits on YouTube!). So here he is, with his rockin’ all girl band on Later with Jools Holland (have I said already that I absolutely love this show?). Next week will be the first show of the new year! I’ll be welcoming band Orkestra del Sol into the studio. They’re from the UK and are touring Australia. Think big band with lotsa high energy swinging sounds with flavours from the Balkans, Oompah, Gypsy and New Orleans. Should be fun. AND the theme will be the show will be MULTILINGUAL SONGS, by which I mean songs that have at least two languages in the lyrics. Any suggestions? Then leave me a message here! Play safe on New Year’s Eve and keep on dancing!